Discover all the beautiful & exotic animals! 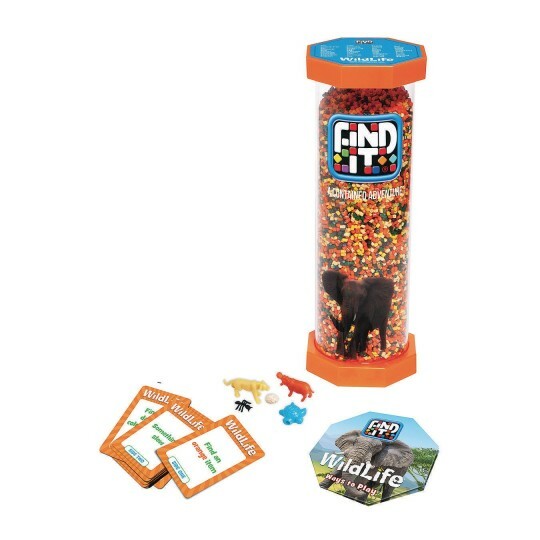 There’s no greater world adventure than discovering all the beautiful and exotic animals the planet has to offer; especially when you get to find them in your very own self-contained Find It adventure! The Wildlife treasure hunt game features a wide range of wild creatures, like the color-changing chameleon, high-flying eagle, slow-moving turtle, and the armored crocodile. A truly great game for all ages, you can search through the colorful brown, green, yellow, and gray-colored pellets to reveal unique animals with every spin, twist, and shake. See if you have what it takes to discover each creature and fill your imaginary zoo!